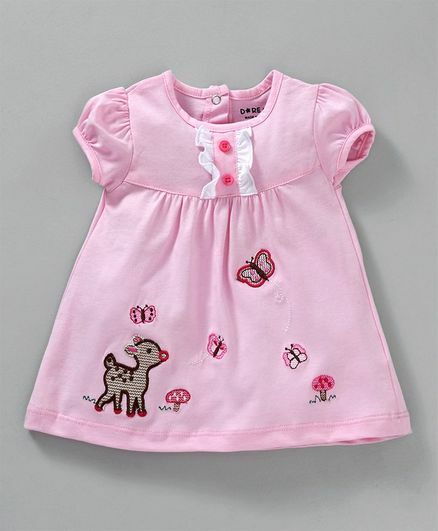 Doreme presents this full sleeves frock with round neck for your little girl. Cute print gives it a trendy look. Pullover style frock with back button closure ensures easy dressing. Styling Tip: Pair this set with sandals and hair band.